The documentary starts off by going undercover to an Apple Store in Toronto, to see what Genius Bar would say to repair a MacBook Pro with a screen that wasn’t working. The Apple employee said it would cost $1200. When The National then takes the MacBook Pro to a well-known third-party repair shop in New York City, Rossman Repair Group, the latter was able to fix the computer in under two minutes. Turns out, a single pin from the cable to connect the LCD backlight was damaged. It was re-aligned and then the screen turned back on again. The National then also travels to iFixit in California and interviews founder Kyle Weins, and discusses American Right to Repair legislation. They take apart an iPhone 8 and its glued battery, plus discuss Apple’s proprietary pentalobe screw. From there, the investigation also speaks with Toronto’s John Poole, the founder of Geekbench, who unearthed Apple’s iPhone throttling of older devices, in order to prevent shutdowns. Canadian consumer rights lawyer for Hagens Berman, Shana Scarlett, is also interviewed in California. She discusses her class-action lawsuit over iPhone slowdowns. She previously was part of another class-action lawsuit against Apple which won $450 million for breaking antitrust laws. 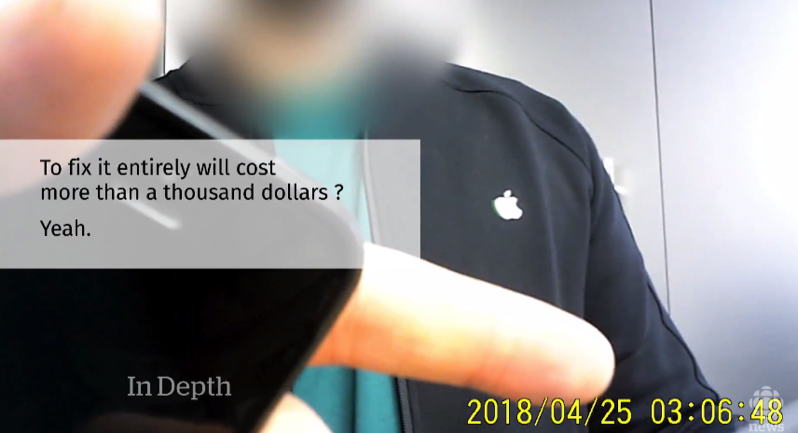 Next, The National also shares some footage of Apple’s appearance at a Parliamentary Committee Hearing on the iPhone slowdown incident in March, when an Apple Canada lawyer came under fire from Members of Parliament over its practices. MP Nathaniel Erskine-Smith repeatedly asks the Apple lawyer “was the non-disclosure non-intentional or was it inadvertent?” Apple responded to say it was “non-intentional”. 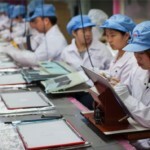 What have your experiences been when it comes to Apple repairs from the company?